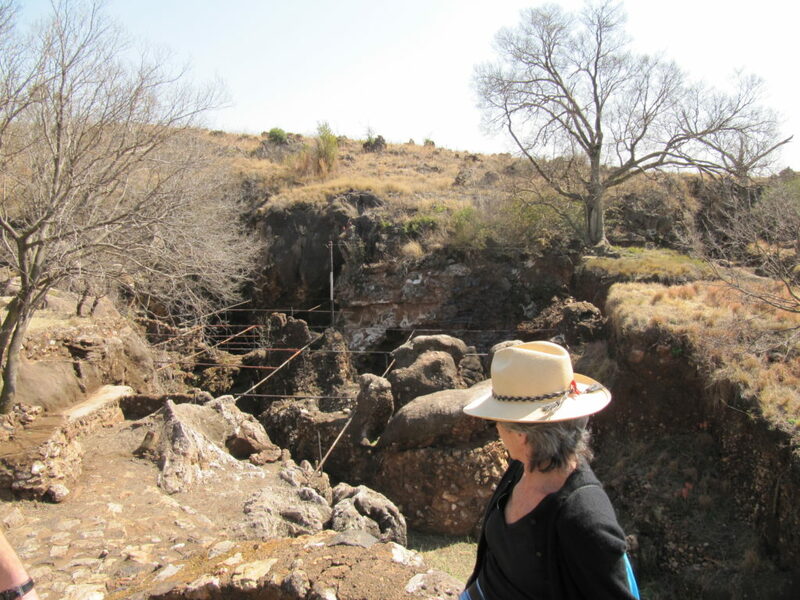 Africa and South Africa in particular, have been the site and source of many ground-breaking finds of our human ancestory. The world of paleontology is fiercely competitive with specialists arguing about classifications – where are humankind’s roots? Hominin or hominid? the transition from ape to man; dating; new species, etc. Even for experts it’s a minefield fraught with differing views and detailed academic arguments based on mandibles, pelvis structure, brain size, etc. So for a real layperson like me it is very difficult to make sense of. 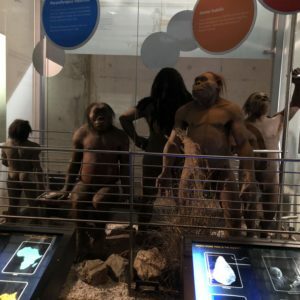 Been to the Phillip V Tobias Primate & Hominid Fossil Laboratory: Wits University’s fossil hominid collections housed in a new specially designed large vault. 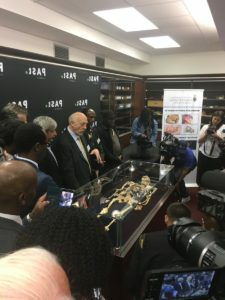 The unveiling of Little Foot at Wits in 2017. Found in 1994 by Ron Clarke and worked on for 20 years. Not only is the Taung skull housed here but also those hominid remains which have been in the world news recently eg Little Foot (thought to be Australopithecus Prometheus) as well as Australopithecus Sediba. 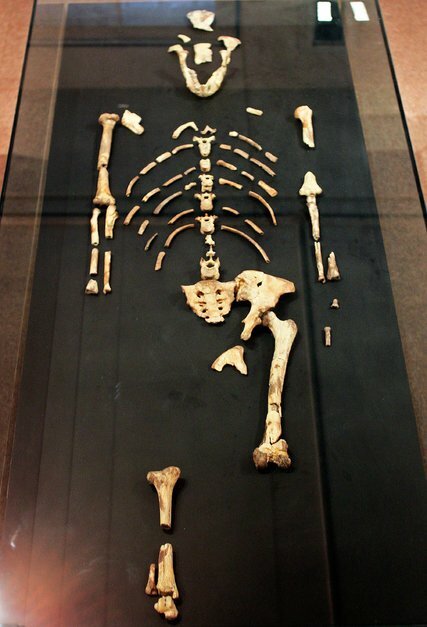 I’ve even seen Lucy in the National Museum in Addis Ababa. I’ve read books (see some recommendations below) but ……. it all seems to have gone in one year and out the other!! And still I remain confused. So I decided to really put my mind to making sense of it in basic terms. Here’s my guide, in layperson’s terms, of this complex minefield. My crass oversimplification follows the same principle of a very wise lecturer whom I co-taught with on several occasions when at Wits: ‘With First Years you have to lie’. 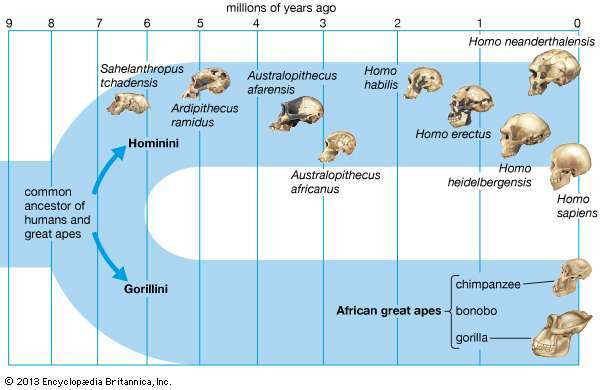 There is still it seems, some disagreement about these distinctions but it appears that there is now wide acceptance that the term hominid refers to all modern and extinct apes (Gibbons, gorillas, chimps, orangs) and humans. The only way I remember this is Hominid has a d and this group is humans and apes. I warned you this was the idiot’s guide to paleontology!! It seems that our lineage split from apes 7-6 odd MYA years ago (maybe even longer). The classification Hominin excludes the apes but refers to any species of early human that is more closely related to humans than chimpanzees, including modern humans themselves. At this point, this includes the genuses homo, australopithecus, ardipithecus and paranthropus. In 1924 Raymond Dart, Professor of Anatomy at Wits, received some fossils (mostly of baboons) from workers in a limestone quarry in Taung, near Kimberley in the Free State. Dart however, identified the skull and face of a hominin, which he described as the first specimen of Australopithecus Africanus, a human ancestor. 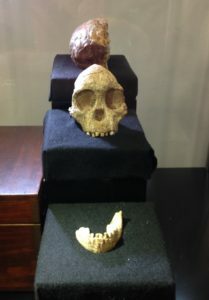 The Taung Child was the first hint that humans originated from Africa. Sadly Dart’s findings were not believed by the international community for decades. Why were Dart’s finding not taken seriously? The hoax of the Piltdown Man: In 1912 a British amateur archeologist claimed to have found the remains of an ape-man near Piltdown in Sussex. It was only in 1953 that this was confirmed as a composite hoax (with bones from an orang-u-tan and a modern human). The lengths to which academics will go to claim to be ‘the first to ….’. From the initial find until Dart completed his paper was just over a month and many felt he had come to a rash conclusion too quickly. 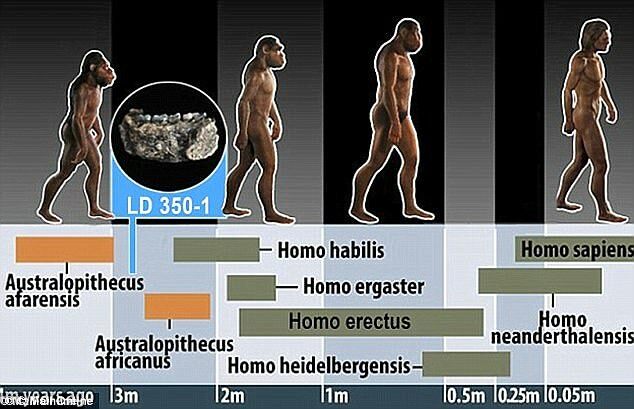 Many anthropologists were uncomfortable with accepting that humans had a small-brained, ape-like ancestor, like Australopithecus africanus, only +/-two million years ago. Many thought the genus Homo had split some 30 MYA. Some opposed evolution on religious grounds. From probably as long ago as 3 million years, there were several human (homo) species existing in the world. 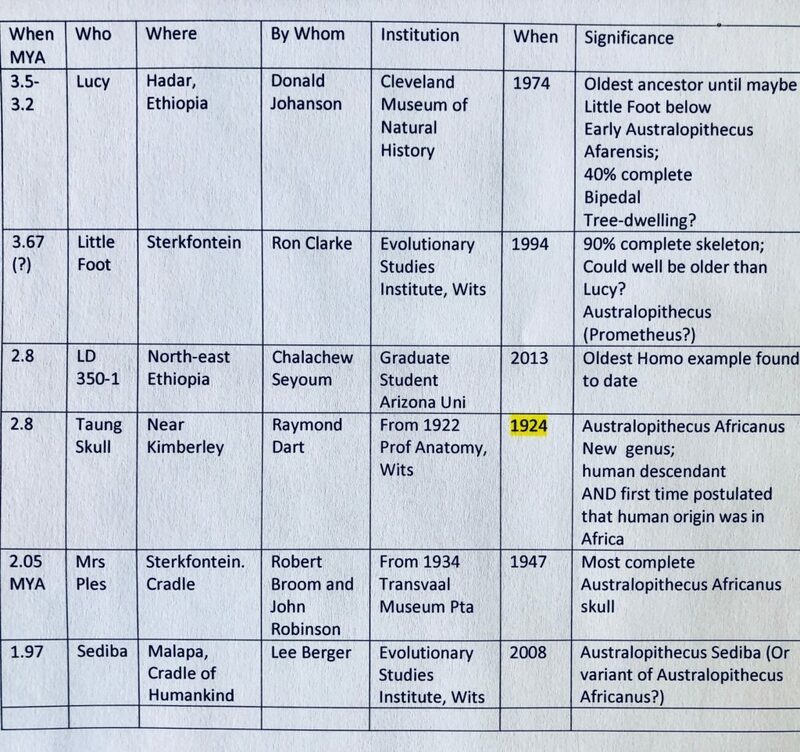 See dating for LD 350-1 below (found in 2013 in Ethiopia). LD 350-1 is the oldest Homo example found to date (see table below) indicating that the genus Homo co-existed with Australopithecenes. Below is a summary of some of the most significant finds in human ancestory. It’s important to look at the date of the find as well as how many MYA [Million Years Ago] the fossil has been placed, in order to understand its significance in terms of worldwide paleontology. Huge strides have been made in more accurate dating of MYA old fossils. So, for example, prior to 2014, Little Foot was dated at between 3.03 and 2.04 MYA. By 2015 this got pushed back to 3.67 MYA with new radioisotopic techniques. 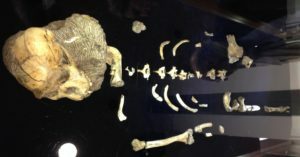 This indicates that Little Foot (Australopithecus Prometheus) lived at roughly the same time as ape-people like Lucy (Australopithecus Afarensis), previously thought to be the oldest Australopithecene. Interesting read Liz, I had my DNA done a few years ago and come from the Ursula Clan who were well represented in Western Britain and Scandinavia (my grandmother always said her ancestry was from Scandinavia)going back 45,000 to 50,000 years ago. The little booklet I got with my results also shows that we all originated in Africa. I find this all so fascinating. My journey with – The long march to Freedom. Thanks so much Gail. And you’ve reminded me to go back to my DNA ancestry. My maternal line is from the Helena Haplogroup. Apparently Helena’s descendants started some 20,000 years ago from a hunting family in the Dordogne region of southwest France. But there are a lot of Russians like the Romanovs (!!!) who are this haplogroup! Nostrovia!